Not ready for Nail Art? 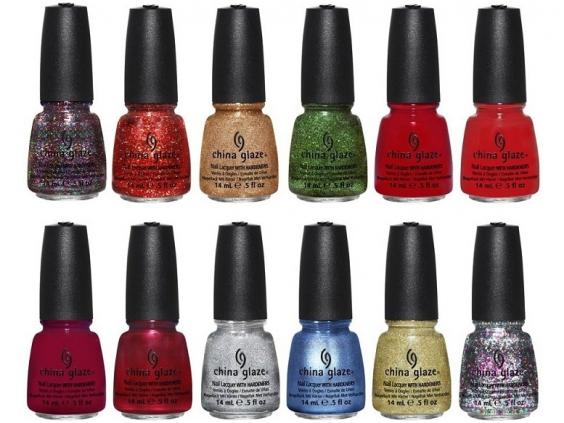 -- Show off your Xmas spirit with red and green glitter nails! On my right hand, I'm wearing 1 coat of Pure Joy (chunky red / gold glitter) over Cranberry Splash (dark red shimmer) and 2 coats of Winter Holly (green glitter) on my thumb accent nail. Love reading your posts; you always inspire my creativity! 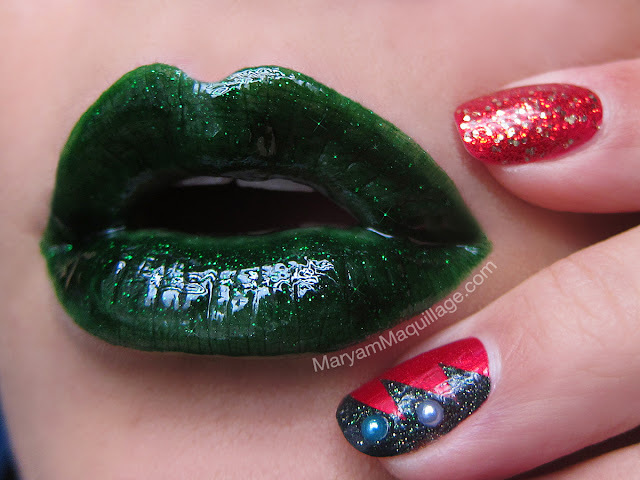 Oh, I love the green lips with the nails! Wow, so gorgeous! The Santa hat looks super cute on you. The nail art is perfect, hun! You are very talented. wow... I just do not know what to say! Your nail art is getting more and more fascinating and amazing. Loved the Christmas Tree lighting. Merry Christmas Maryam. Have a great and explosive conclusion to the Year 2012 and May the Year 2013 usher in lots of excitement, adventure,entertainment,inspiration,success,happiness,love and prosperity.